March 26, 2015 – NASA Wednesday announced more details in its plan for its Asteroid Redirect Mission (ARM), which in the mid-2020s will test a number of new capabilities needed for future human expeditions to deep space, including to Mars. NASA also announced it has increased the detection of near-Earth asteroids by 65 percent since launching its asteroid initiative three years ago. ARM’s SEP-powered robotic spacecraft will test new trajectory and navigation techniques in deep space, working with the moon’s gravity to place the asteroid in a stable lunar orbit called a distant retrograde orbit. This is a suitable staging point for astronauts to rendezvous with a deep space habitat that will carry them to Mars. In 2005, NASA’s Deep Impact comet science mission tested technology that could assist in changing the course of a near-Earth object using a direct hit with a spacecraft. The ARM robotic spacecraft opens a new and second option for planetary defense using a technique called a gravity tractor. All mass exerts and experiences gravity and, in space, the gravitational attraction even between masses of modest size can significantly affect their motion. 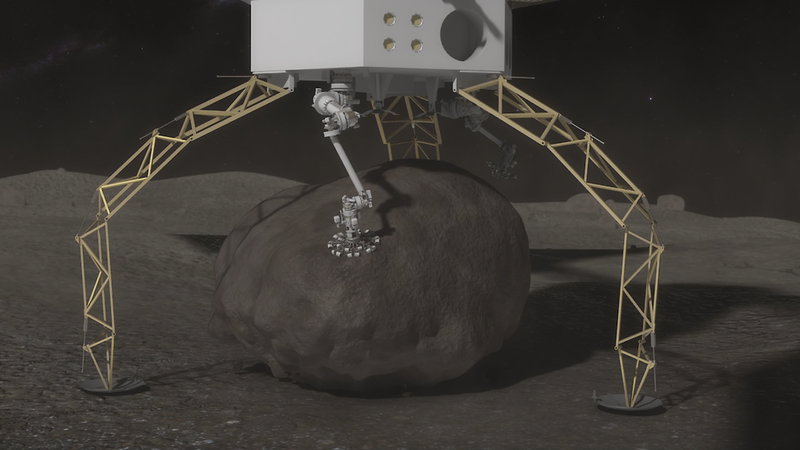 This means that by rendezvousing with the asteroid and holding a halo orbit in the appropriate direction, the ARM robotic spacecraft can slowly pull the asteroid without touching it. The effectiveness of this maneuver is increased, moreover, if mass is moved from the asteroid to the spacecraft by the capture of a boulder. It will take approximately six years for the ARM robotic spacecraft to move the asteroid mass into lunar orbit. 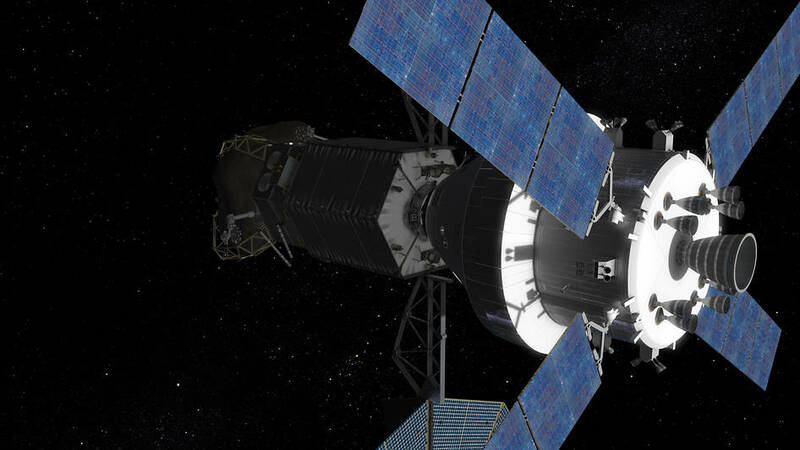 In the mid-2020s, NASA’s Orion spacecraft will launch on the agency’s Space Launch System rocket, carrying astronauts on a mission to rendezvous with and explore the asteroid mass. The current concept for the crewed mission component of ARM is a two-astronaut, 24-25 day mission. In 2012, the president’s NASA budget included, and Congress authorized, $20.4 million for an expanded NASA Near-Earth Object (NEO) Observations Program, increasing the resources for this critical program from the $4 million per year it had received since the 1990s. The program was again expanded in fiscal year 2014, with a budget of $40.5 million. NASA is asking Congress for $50 million for this important work in the 2016 budget.